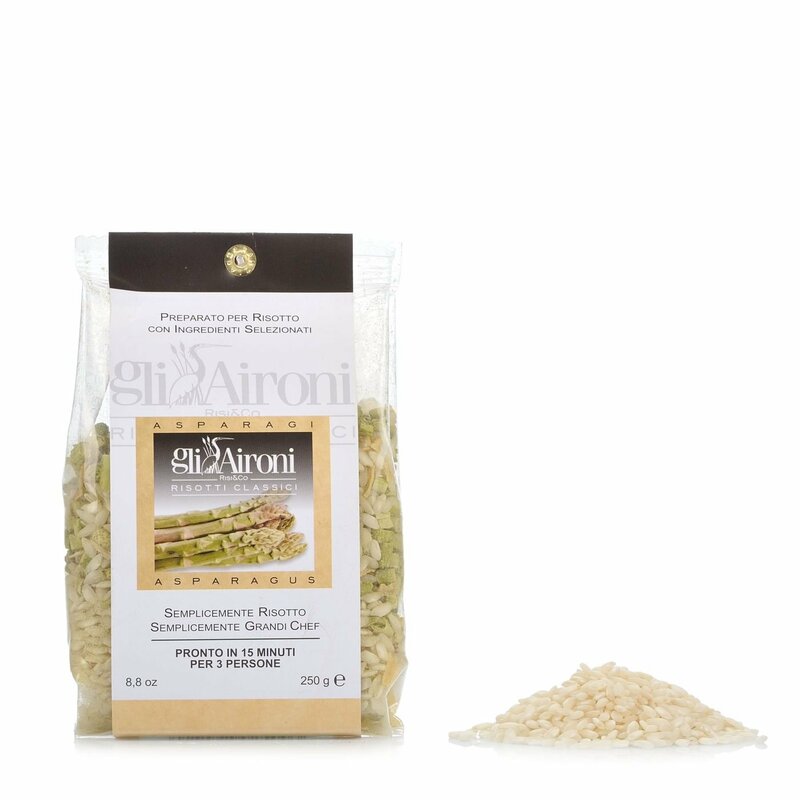 The Classic Asparagus Risotto from Gli Aironi is unique because it is not precooked, but only moistened with vegetable broth. 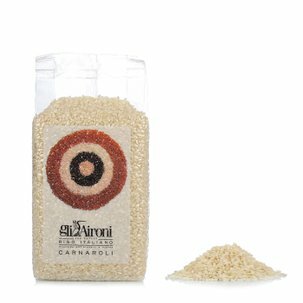 Afterwards it is freeze-dried and flavoured with this delicate vegetable that characterises any dish with its particular flavour. 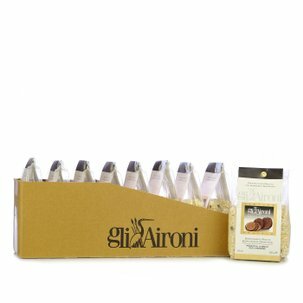 This line of risottos is made using the best ingredients and represents a high quality response to the needs of people who, although they do not have much time to spend in the kitchen, do not want to give up on the flavour of the most delicious recipes. 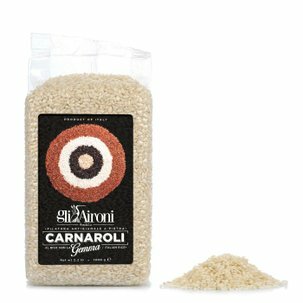 Ingredients Carnaroli rice (90%), *Vegetable stock mix, *Asparagus (2.5%), *Onion, *Garlic, (*dehydrated products). For more information on product labels, please contact our Customer Service department. The information on the labels of the products may vary for reasons beyond our control, therefore, there may be discrepancies between the information on the site and that on the products delivered. Please always check the information on the product before consumption or use.